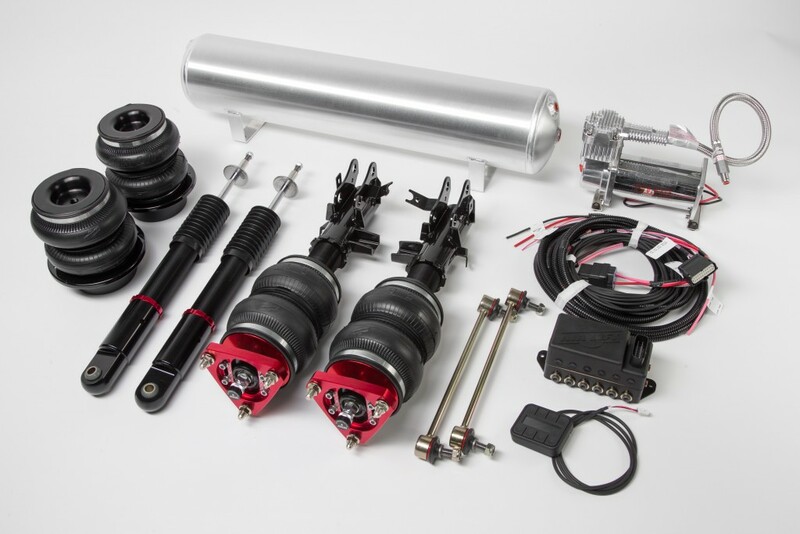 Air Lift Performance has developed an air suspension kit that will allow you to lower your Civic without compromise. Not only will this suspension score you cool points at the show, but it is also tested and tuned for high-performance driving. The latest Honda Civic brings the long standing model into its ninth iteration, and it’s come a long way from its humble beginnings as a subcompact car from the 1970s. Used as economical transportation throughout the gas crunch, the humble Honda has grown to be one of the most popular cars to modify worldwide. 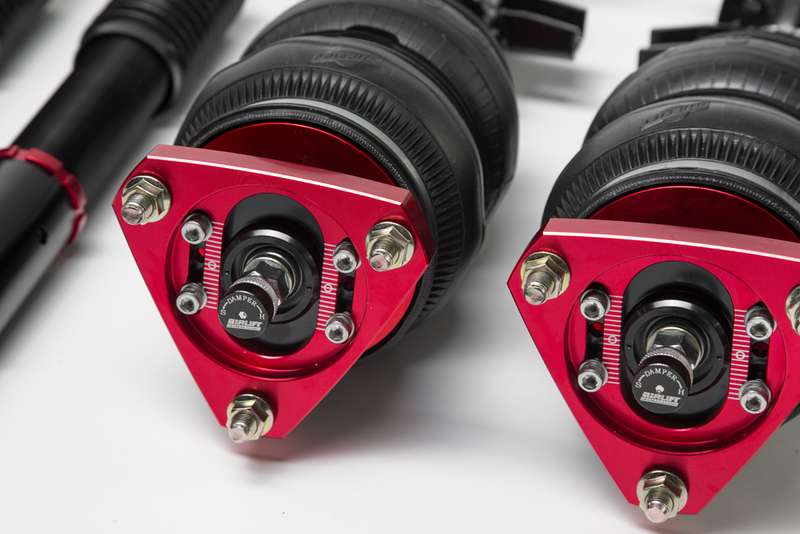 Up front, our smooth-riding, compact double-bellows air springs are mated to a monotube threaded body strut. For a truly adjustable experience, our struts have 30 different levels of damping so you can go from racetrack stiff to super-smooth with the twist of the damping knob. Top all this off with adjustable camber plates carved out of T6061 aluminum and anodized in a deep red hue. Once fitted the front of your Civic will be sitting a full 4.48″ lower than stock! In the rear, we have replaced the coil spring with our double-bellows air spring to match the ride quality with the front. We also replaced the shocks with our own 30-level damping adjustable monotube shocks for the ultimate in handling performance. We have even included a heat shield to help protect the right rear air spring from exhaust heat. As you can see, we have included everything to allow you to drop the rear of your Civic 5.8″ from stock with no other chassis modification. Detailed instructions are included to help you get your Civic slammed within a few hours. If you have the ability to wire a stereo or swap out suspension parts you should have no problem installing this air suspension kit. Please note, this kit does not fit European Civics.